The US Navy has awarded a modification contract to Boeing to maintain the reconfigurable transportable consolidated automated support system (RTCASS) automated test. This follows a previously awarded contract to Boeing to build approximately 140 RTCASS stations, while the 100th RTCASS station was delivered to the US Navy in March 2010. Boeing RTCASS programme manager Tim Murphy said: "This follow-on contract continues our partnership with the navy to maintain a valuable diagnostic tool that helps increase aircraft availability and lower spares costs." 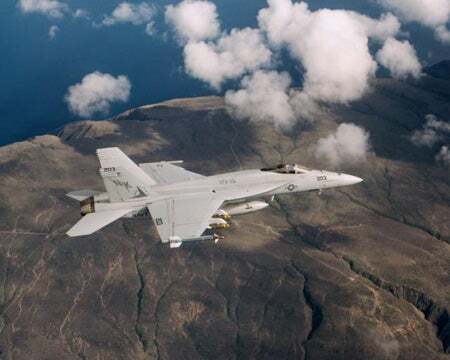 Under the latest $5.5m follow-on contract, Boeing will maintain RTCASS automated test to ensure the availability of the US aircraft, including the McDonnell Douglas F/A-18 Hornet, McDonnell Douglas AV-8B Harrier II, Northrop Grumman EA-6B Prowler and Bell Boeing V-22 Osprey aircraft. The RTCASS, which is also developed by Boeing, is currently in service with the US Marine Corps (USMC) and Air Force Special Operations and has been designed to fix problems in aircraft subsystems such as flight controls, radar and electronic warfare systems. "This follow-on contract continues our partnership with the navy to maintain a valuable diagnostic tool that helps increase aircraft availability and lower spares costs." The RTCASS is a rugged, readily deployable version of consolidated automated support system (CASS) and can be used in conjunction with the test programme software for automatically testing and troubleshooting aircraft electronic systems and subsystems. Featuring commercial off-the-shelf (COTS) hardware and software, the RTCASS provides a man-portable CASS configuration to meet USMC V-22 and H-1 support requirements, as well as to replace mainframe CASS stations at USMC fixed-wing aircraft support sites. The US Navy’s standard automatic test equipment, CASS provides intermediate, depot and factory level support both onshore and afloat for all navy electronics from aircraft to ships and submarines. More than 150 RTCASS stations have been developed by Boeing since 2003, which also provided contractor logistics support from 2009 when the system was first deployed. Image: A McDonnell Douglas-built F/A-18 aircraft performing mission. Photo: image courtesy of Boeing.